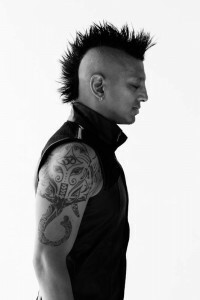 Ravi Jakhotia created a musical revolution by taking the DJ art-form to a higher level by adding live percussion and unparalleled technology to his performance. His custom, innovative drum-rig as well as his NASA-designed “Dream Screen” are like something out of a sci-fi film, and they have entertained audiences all over the world. From sold-out stadium shows, to performances at the Oscars, the Superbowl, and collaborations with Quincy Jones, Paul Oakenfold, Pitbull, Lil Jon, Mariah Carey and Slash, Ravi’s explosive and genre-bending performances leave crowds everywhere in amazement. Ravi’s new EP is ripe with cultural influence and his iconic musical style create an infectious sound that energizes the masses. Following the release of his summer track, “Peace and Love”, he created the #PeaceAndLove challenge in an effort to organize a positive message of unity. “Cuba Cuba Freedom”, the title track off his new EP, celebrates a new generation of Cuban identity.